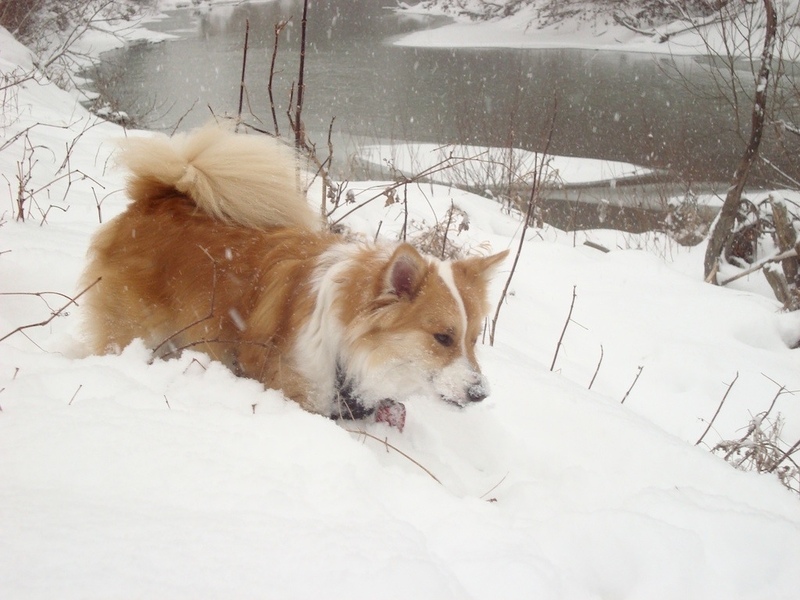 Viggo – that would be our dog, an Icelandic Sheepdog to be exact. 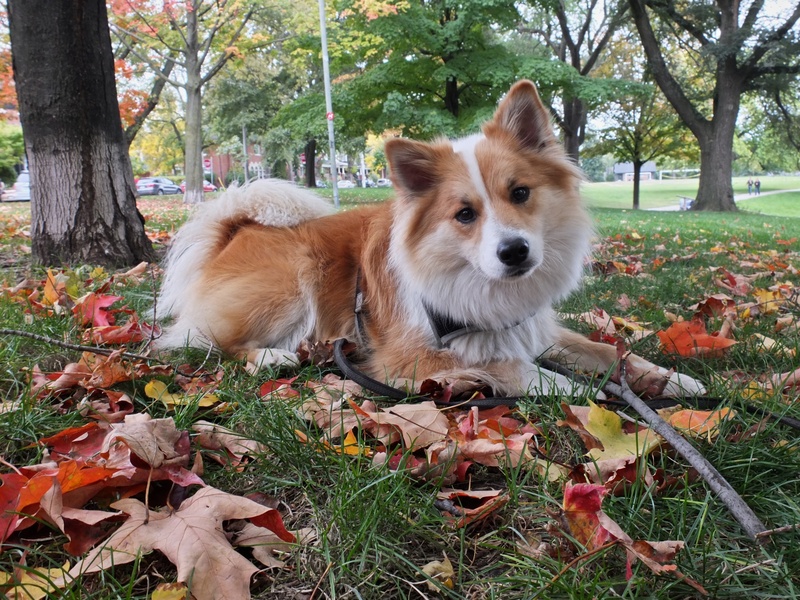 He joined the family over three years ago and has become a big part of how each and every one of our days unfolds here in our east end Toronto neighbourhood of Riverdale. 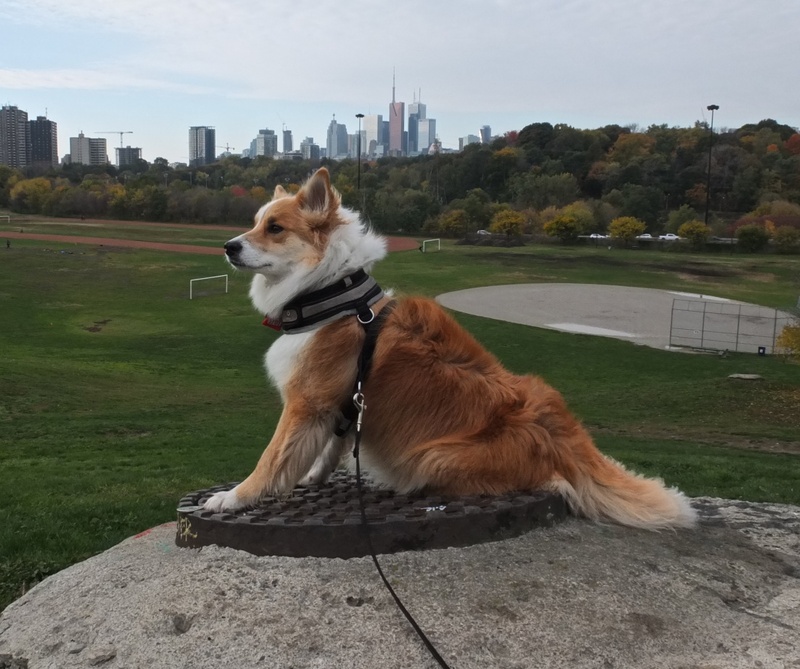 We have since nicknamed it “Roverdale” thanks to our endearing little “hooligan” and the hundreds of other dogs who know it as their territory. 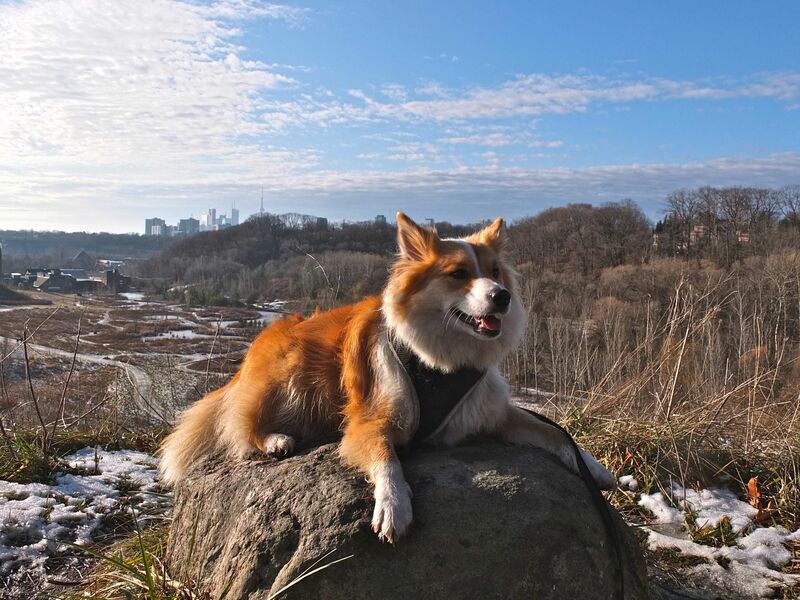 Viggo has made our extended neighbourhood his turf, his pasture, and his daily blank canvas of adventure and occasional mayhem as he chases yet another bicycle, another jogger, or another skateboarder down the trails of his domain. Icelandic that he is, he was born to herd- and be heard! 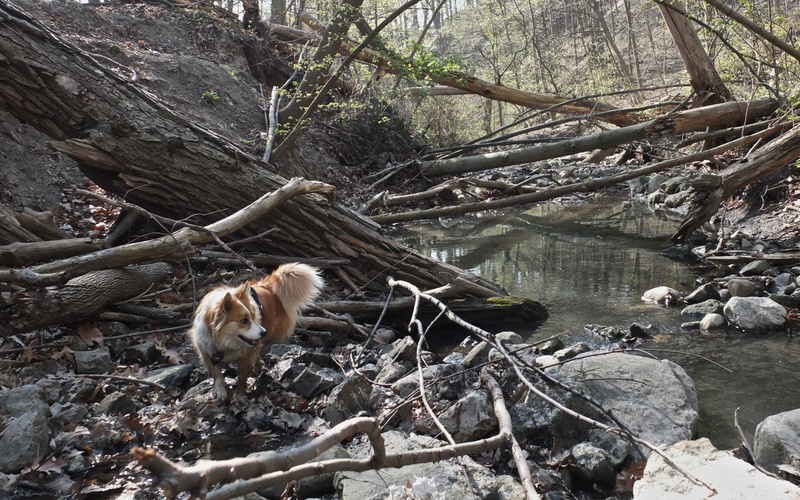 Two or three times every day we set out to the various corners of mythic Roverdale which can be found just east of downtown Toronto with the Don River and valley as the key elements. 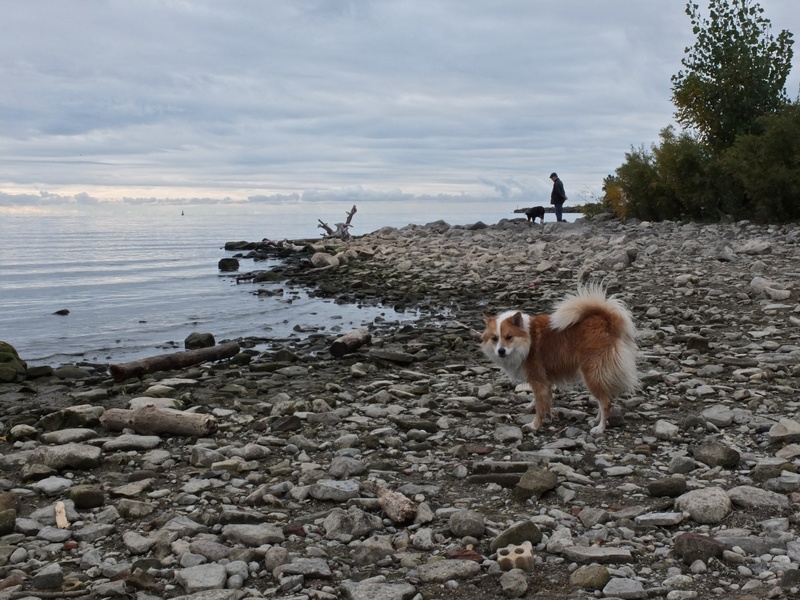 We have our favourite places and at the very top of the list is the Lake Ontario shore at the south end of Cherry Street. 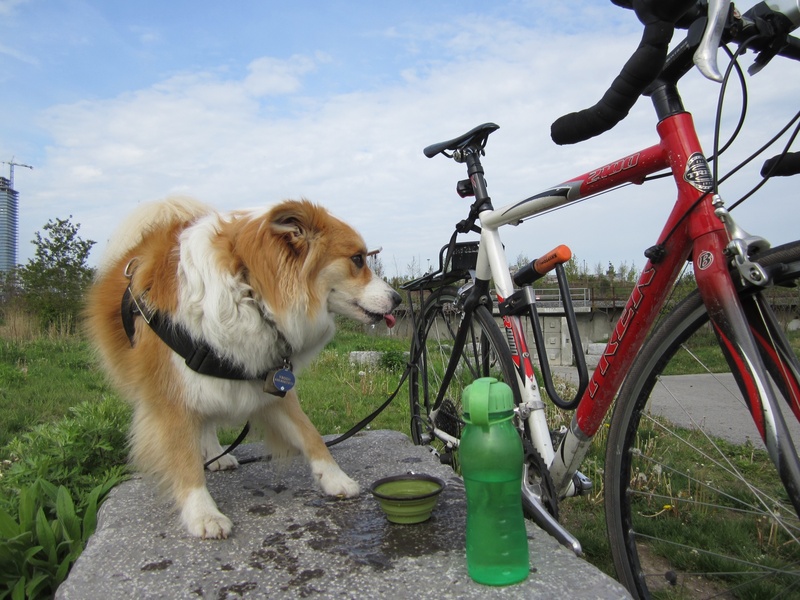 One of our major outings is the run down to Lake Ontario on the Don Valley bike trail that takes us almost all the way to the beach. It is a 30-minute run with a few stops for sniffing and grass chewing and other essential needs that he has trained me to recognize. Apparently the name Viggo derives from an old Norse root word “vig”, which means “war”. By extension Viggo would be “warrior” or “man of war”. 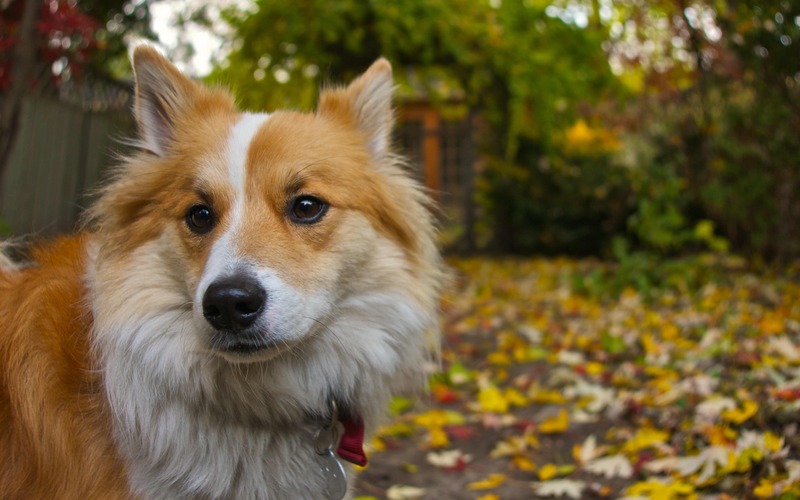 Having learned a bit about the nature of the Icelandic sheepdog, I am now amazed that the Viking raiders of 1000 years ago could ever have made a surprise attack on any English or Irish village. 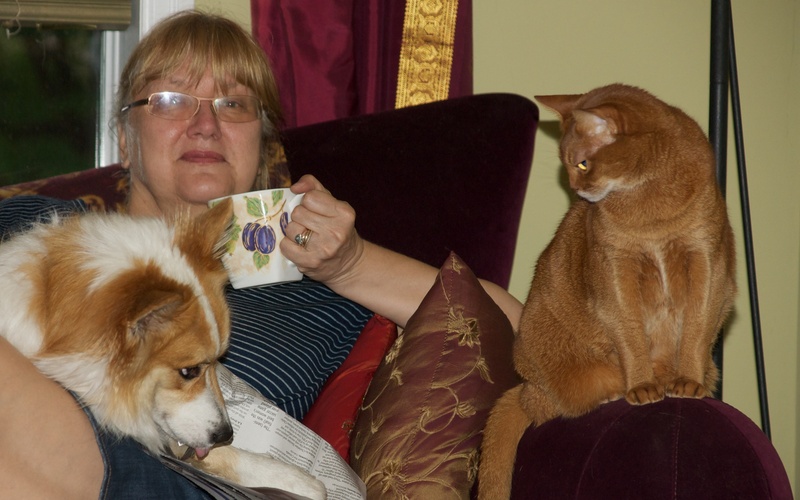 Unless, of course, the dogs stayed home when the guys went out on business trips? 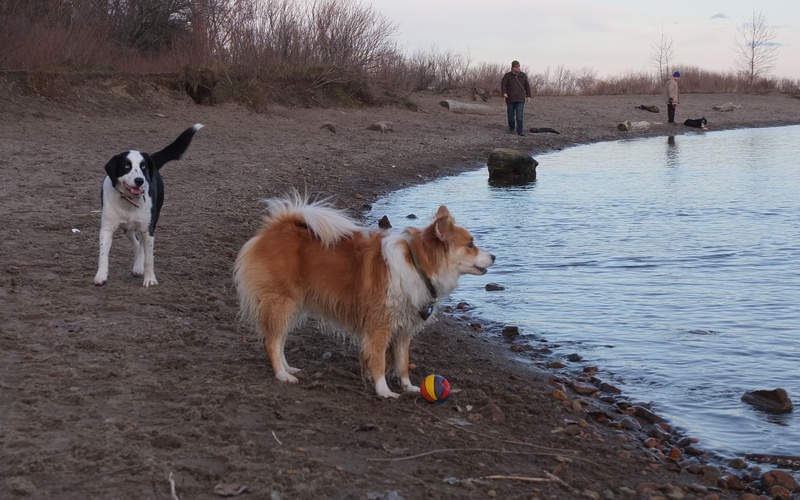 two dogs- one ball- what next? 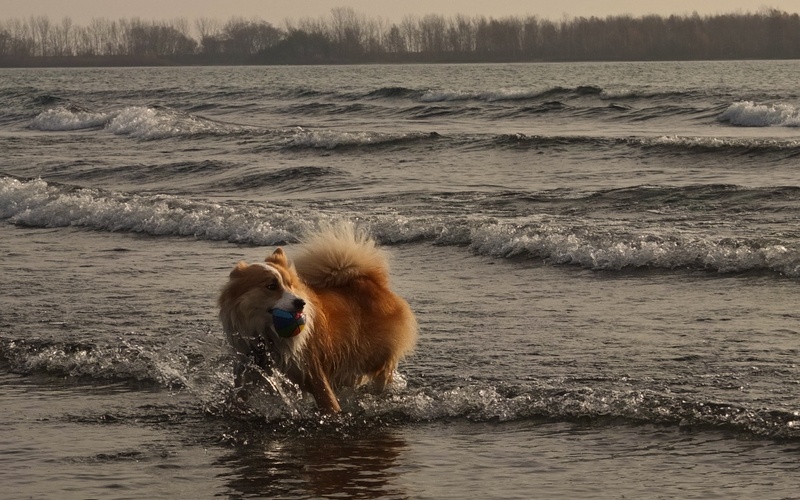 During the hour or so we spend at the beach I toss the ball as far as I can into the water for Viggo to fetch. 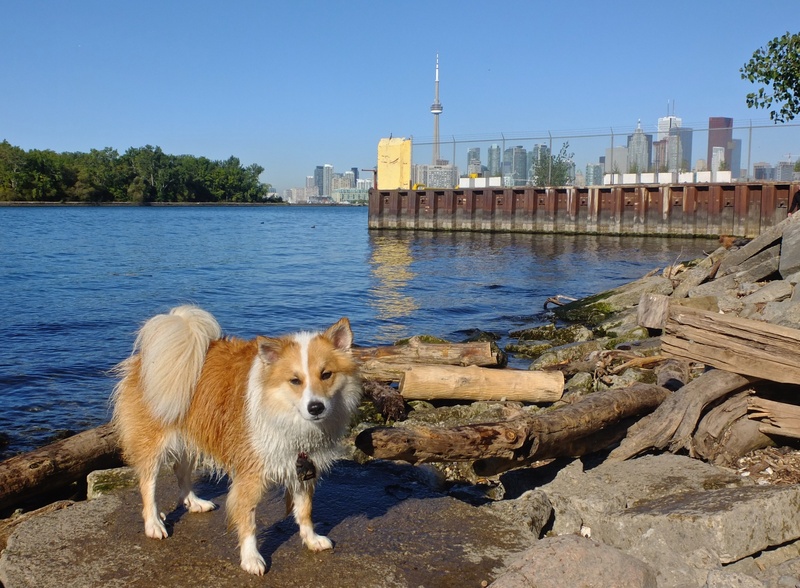 We have developed a whole sequence of favourite spots where he enters the water – I call them our Stations of the Toss (you will recognize echoes of a youth spent as a Roman Catholic in the phrase!). A dozen or so times he goes in after the ball- happy to be working and barking for more. Mr. Happy Yappy we sometimes call him. With soaking wet hair Viggo looks much thinner! 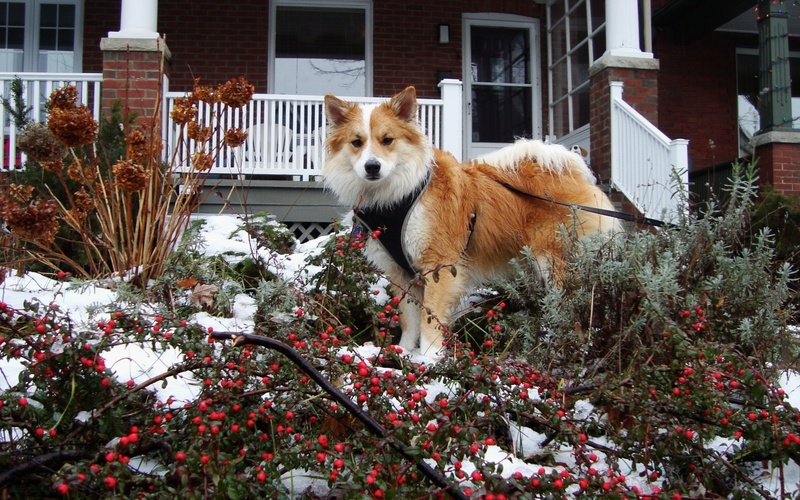 Viggo is lucky to have a backyard of his own, unlike some of his play buddies who live in high rises. The yard is narrow – 5 meters and a bit – but it does run back for about 30 meters. 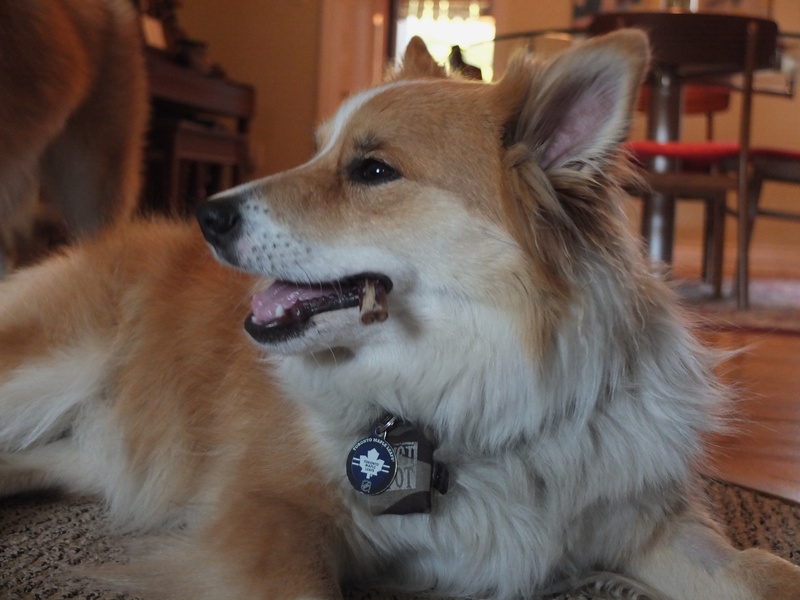 Admittedly, the dozens of squirrels that also have claims on the backyard can cause Viggo to lose his cool and shift into barking mode. 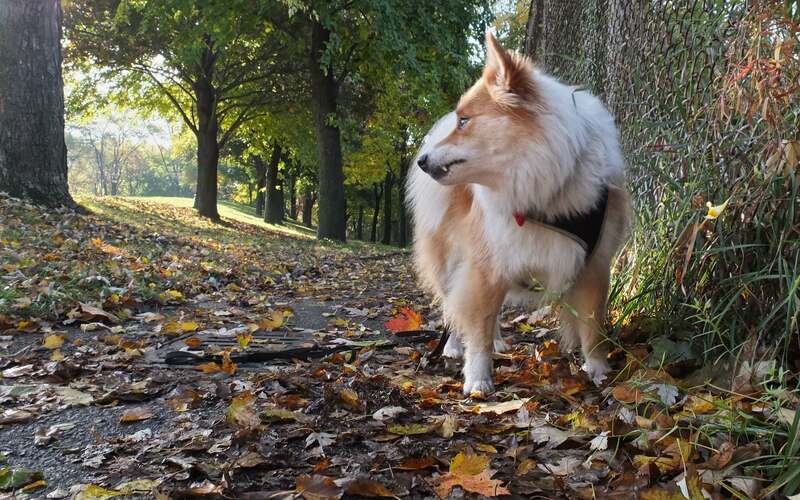 I have no idea what he would do if he actually caught a squirrel – and I don’t think Viggo knows either! We do worry about the raccoons though – and as dusk approaches, we shut the gate leading to the extreme rear of the yard where they sometimes are. Also on the shelf ready to be used is a shampoo in case Viggo has a nasty encounter with one of the backyard skunks. 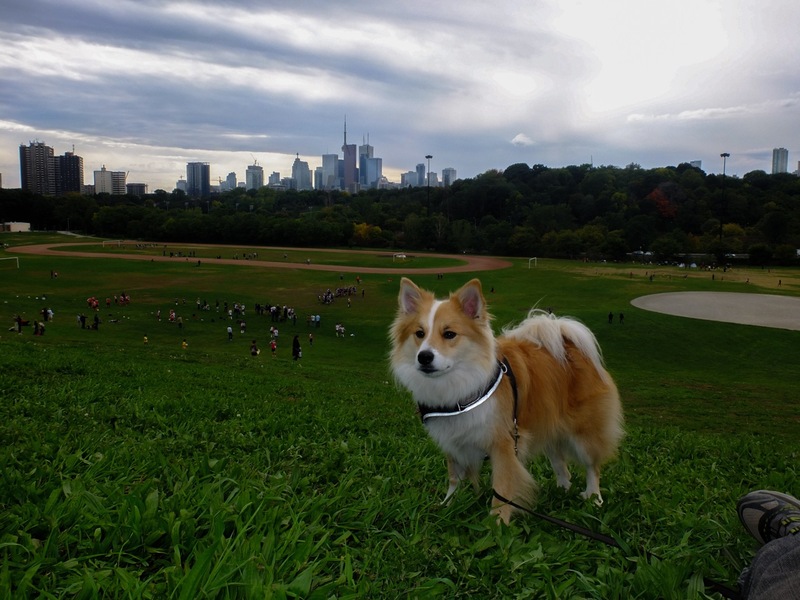 It’s an urban jungle back there – and Viggo loves it! 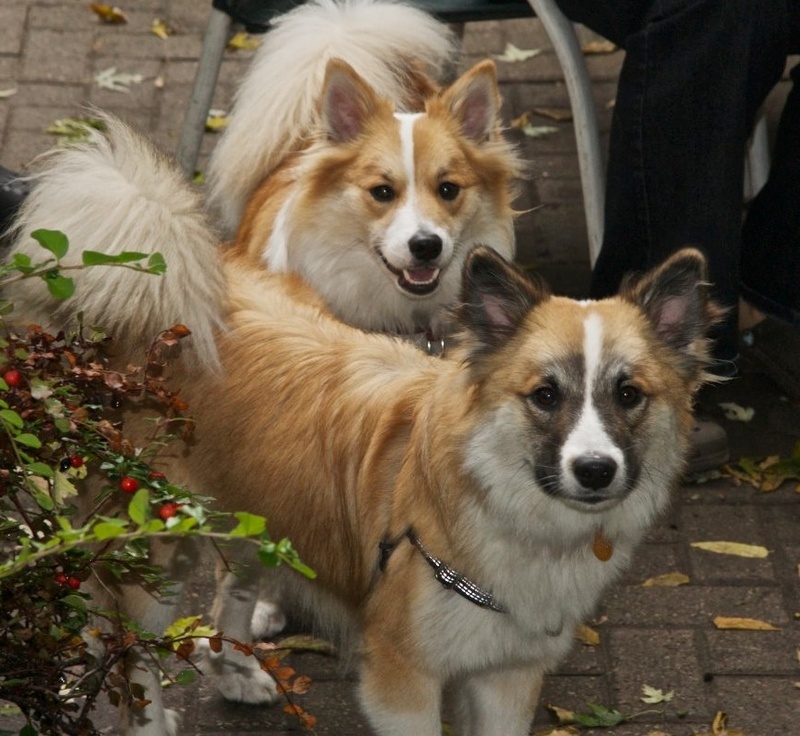 One of the highlights of Viggo’s week is the day Tinni, a fellow Icelandic sheepdog, comes to visit. 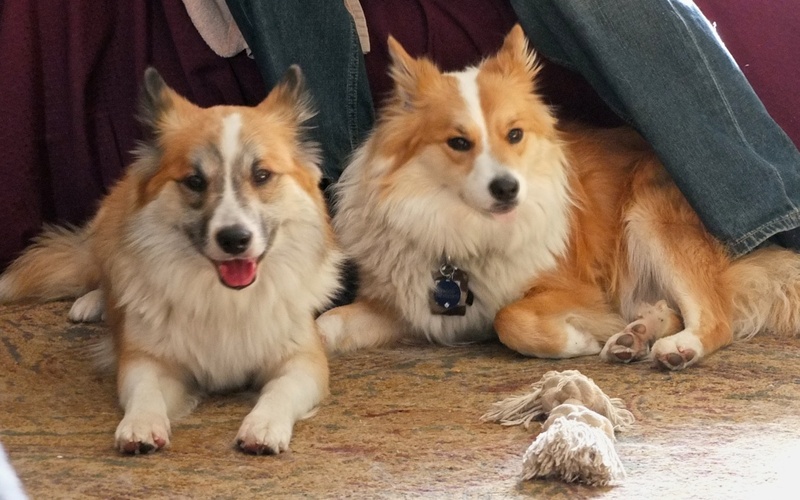 They spend five hours romping and wrestling and generally having a great time together. Viggo doesn’t really play with other dogs quite this way and it is a delight to watch- even if not a delight to listen to, given the decibels that two Icies can generate! Not yet mentioned in all of this are two family members who are still wondering what we could possibly have been thinking when we brought Viggo home. Viggo has tried his best to charm them but they are having none of it. 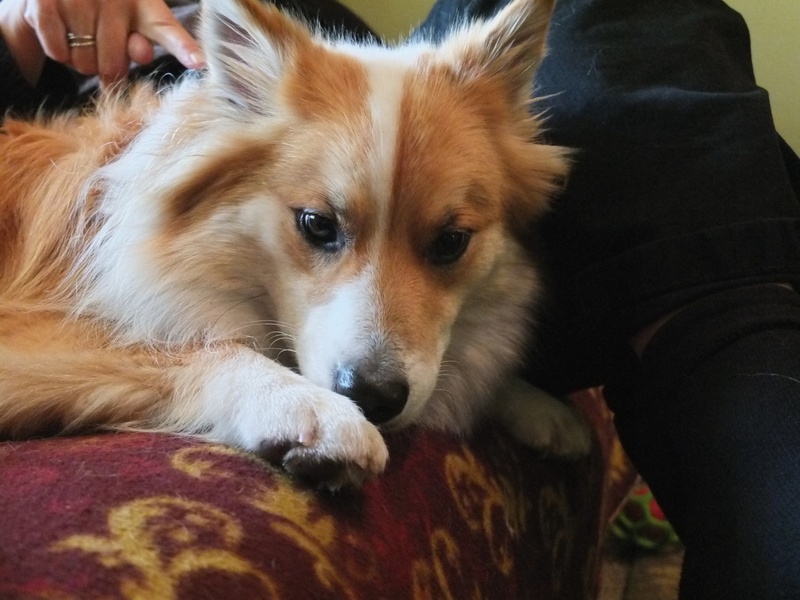 His play bows, his playful chasing, his attempts to sniff their butts…nothing seems to work. 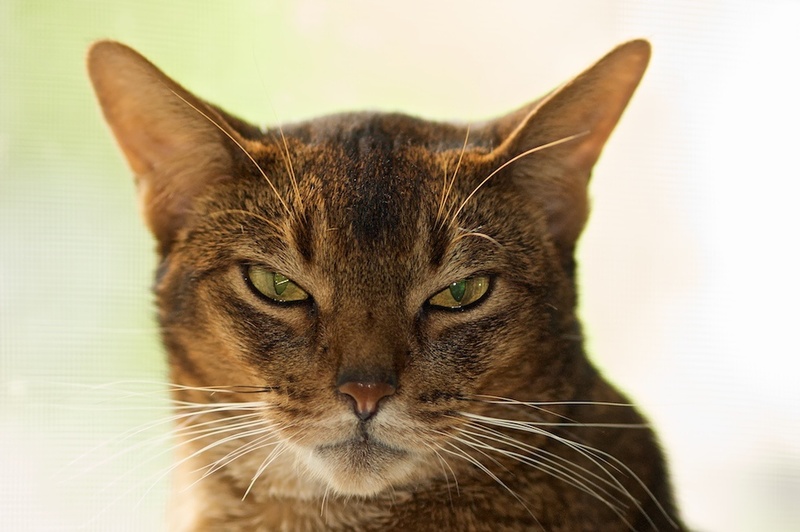 Of the two – they’re both Abyssinians Maya is less offended by the presence of this strange new creature that we fuss over way too much. On the other hand, Bodhi’s hisses when Viggo tries to get closer sound downright menacing. 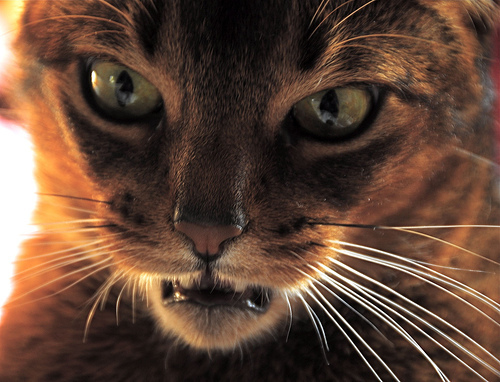 We now have another reason for keeping the cats’ claws trimmed! Visits to the beach only happen once or twice a week. The daily morning walk usually involves a stroll down the slopes you see in the following picture with only occasional stops for Viggo to roll in something especially scent-ual. Squirrels also get his attention once we come to an area we call the Squirrel Hunting Grounds behind the building in the picture below. 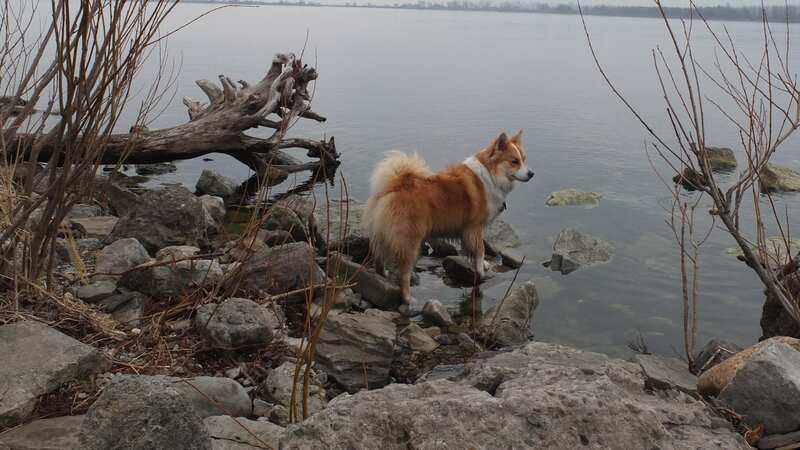 It is a good day indeed when Takeo is on the west side of the park with his high-quality treats for all the dogs. That would be Takeo below with his dog Dakota on the extreme right of the picture wondering what his owner is thinking! Viggo, of course, is right in there. Viggo and some buddies on the loose! 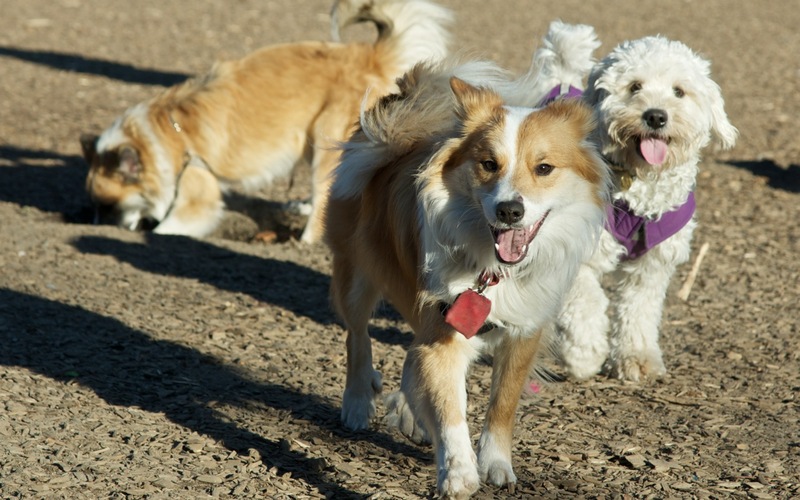 Sometimes these dog park encounters lead to more adventures. 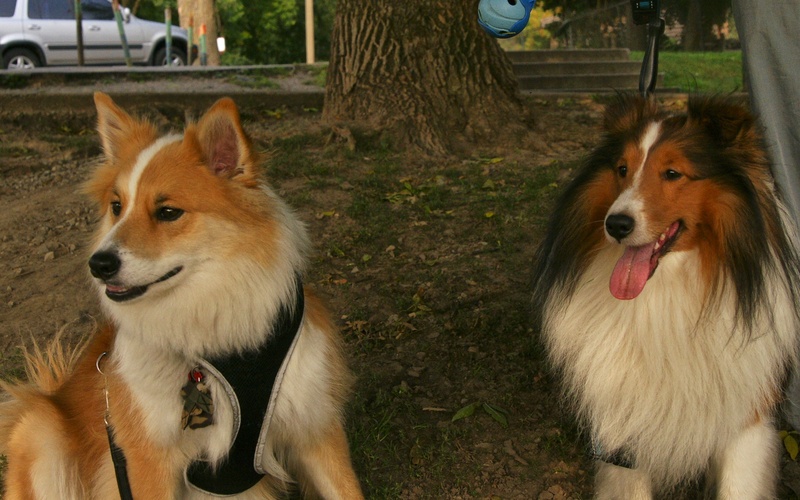 A chat with Snorri’s owner about the sheep-herding classes her Sheltie was taking led to Viggo going along and getting a few lessons too. 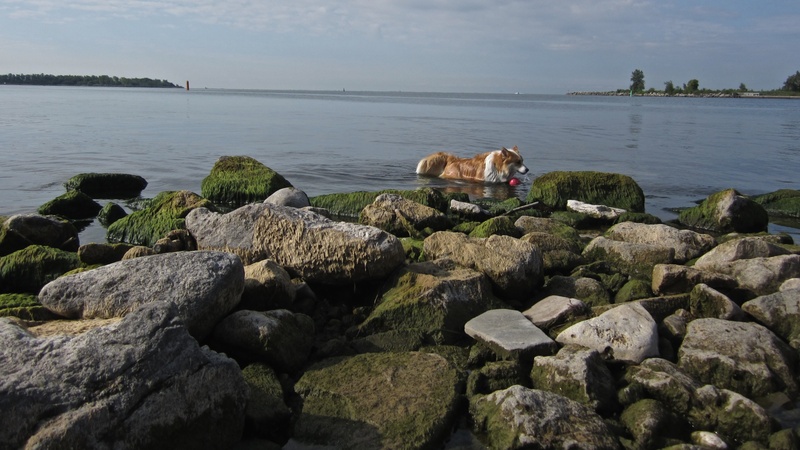 We were amazed to see our dog doing what he was bred to do- and doing it very well! The weak link in all of this turned out to be the human part of the team! Back on the other side of the river it is up to the hockey rink. 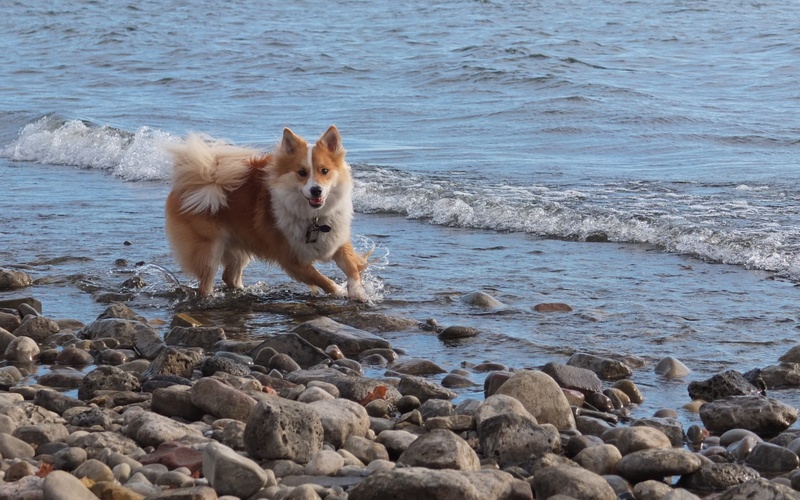 For eight months of the year it is ice-free and a great place (well, not as good as the beach but…) to play our game of fetch. 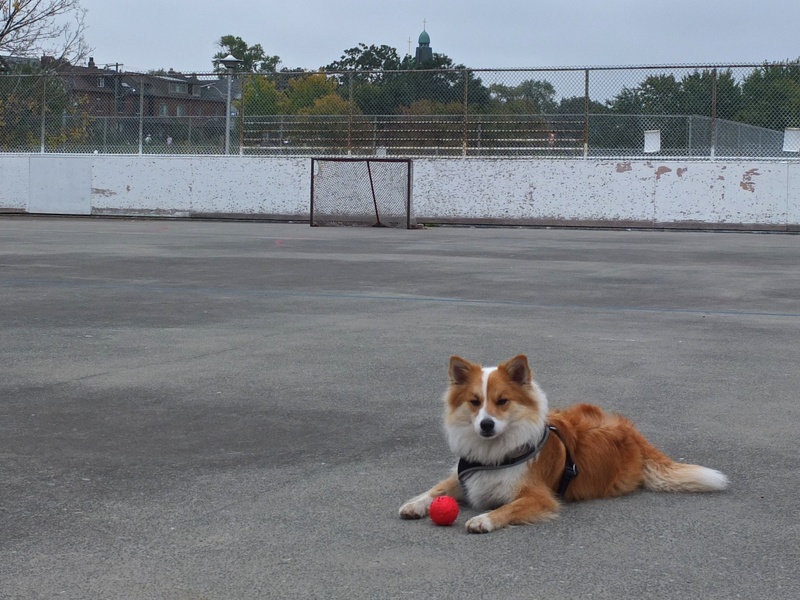 We’ll do that for a while and then either walk over to Withrow Park, another enclosed dog park a few minutes away, or we’ll pass by the Rooster Coffeehouse for my treat- an almond croissant or a cherry danish. And so ends our morning walk! 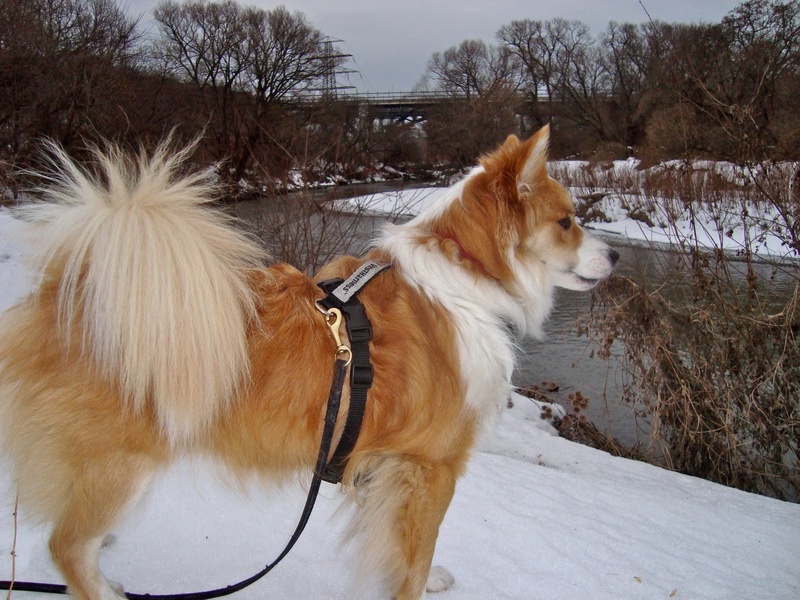 We also patrol the shores of the Don River, especially the section between the Riverdale footbridge up to Pottery Road. It is a delightful 3.5 km walk which we especially enjoy (this will sound odd!) when it is raining or snowing. On those days the traffic on the trail – i.e. 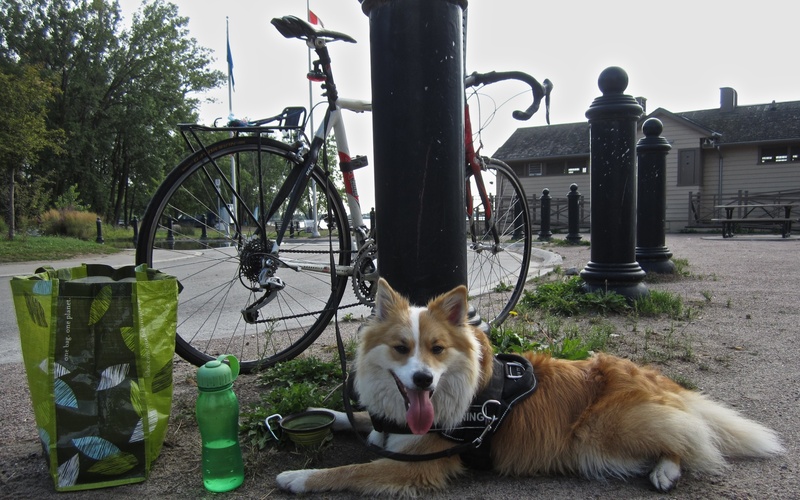 joggers and cyclists – is almost down to zero and I feel okay letting my little “hooligan” loose, knowing that there will be much less to chase and bark at. 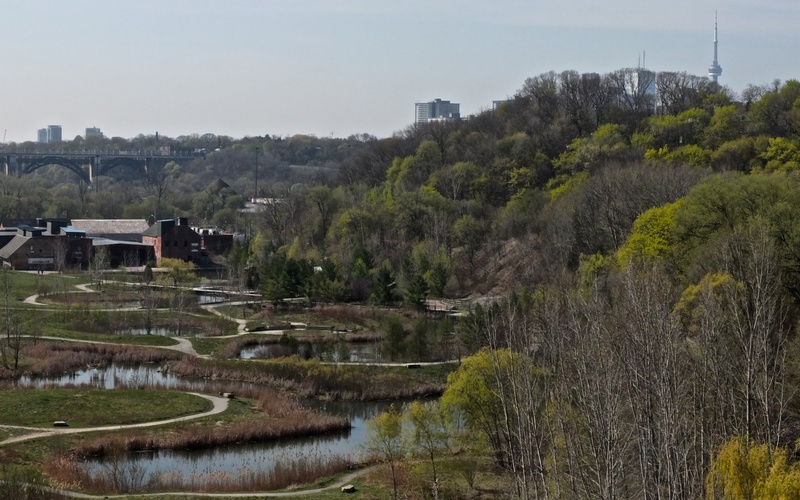 Sometimes we will wander as far up as the Bayview Avenue extension and, via a rough trail, make our way to the scenic look-out above the Brickworks (as in the above pic). 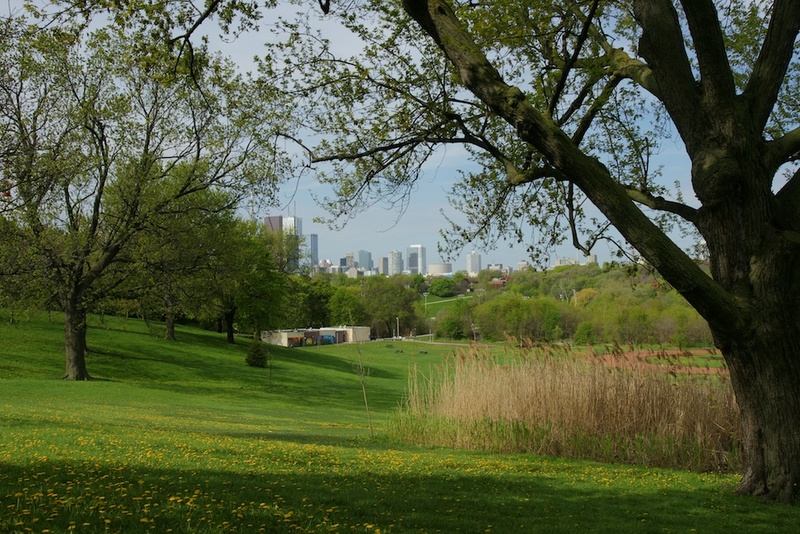 From there it is just a deke around the corner to the Moore Park Ravine, a truly wonderful piece of nature unknown to (and unvisited by) most who live in this city. The expression “It’s a dog’s life” sure doesn’t mean what it used to – at least not in Roverdale! 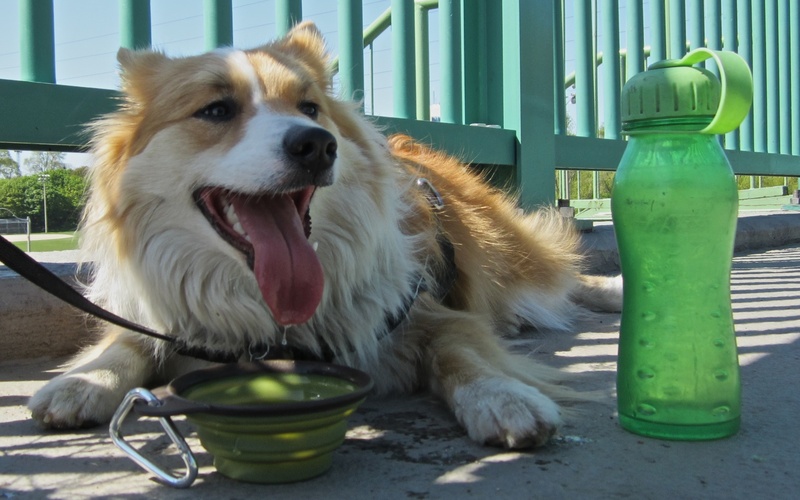 Picture a dog kept in a kennel outdoors and fed scraps from his master’s table after another day of doing work – whether herding or guarding or tracking down or retrieving. Now picture a dog sleeping on his master’s bed and being fed choice cuts of raw meat and special treats! 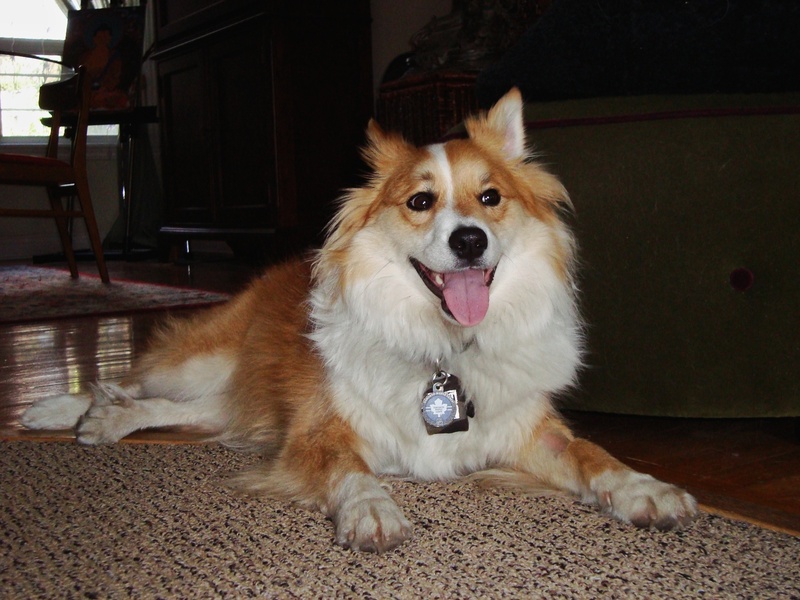 And let’s not even get into the “enrichment activities” his people provide him with so that he is one happy dog! And you know what? We are happy to do it all! 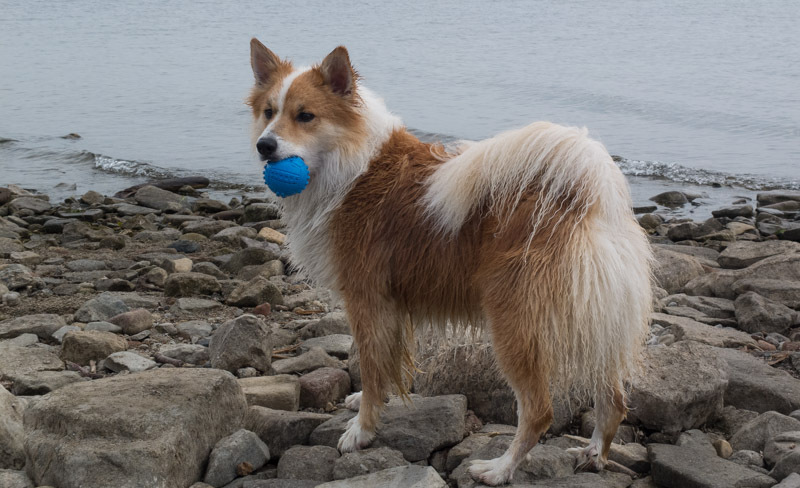 This entry was posted in Ramblin' With Viggo and tagged born to herd- and be heard, icelandic sheepdog, The Stone of Viggo, Tinni and Viggo, Viggo icelandic dog, viggo roverdale. Bookmark the permalink. What a fabulous blog. I do hope you continue to add more of his adventures in Roverdale!! Love your blog Peter. Great photos and stories! Loved it. We have an Icie too, and our lives will never be the same! 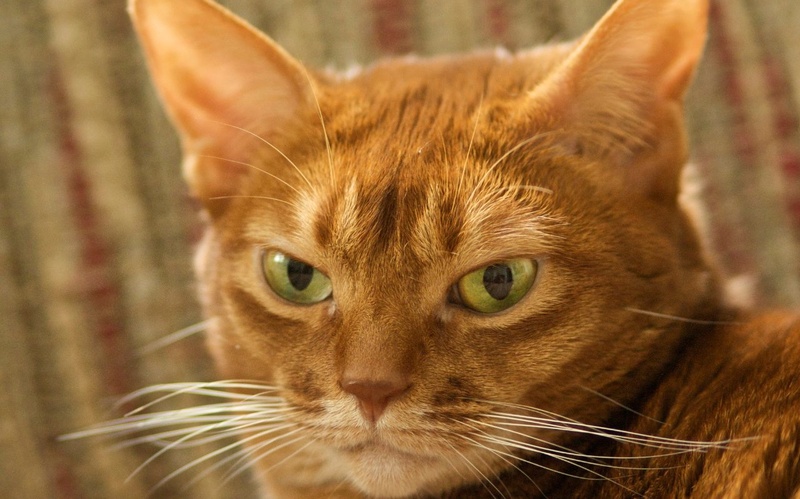 Our cats are completely disgusted, although he scares one and the other tolerates his bouncing… We visited Toronto a year ago and would have loved to know about these sights. 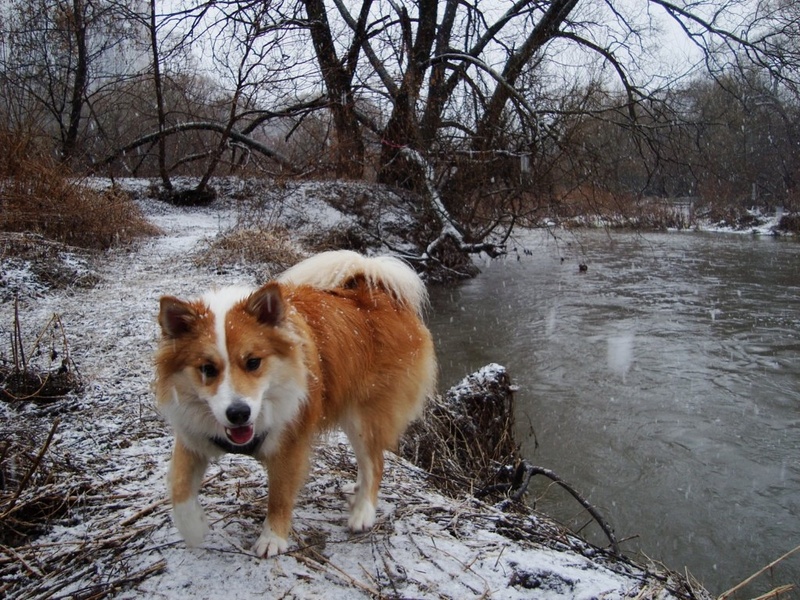 Anyhow– you have a beautiful dog, and I enjoyed your account of Viggo. 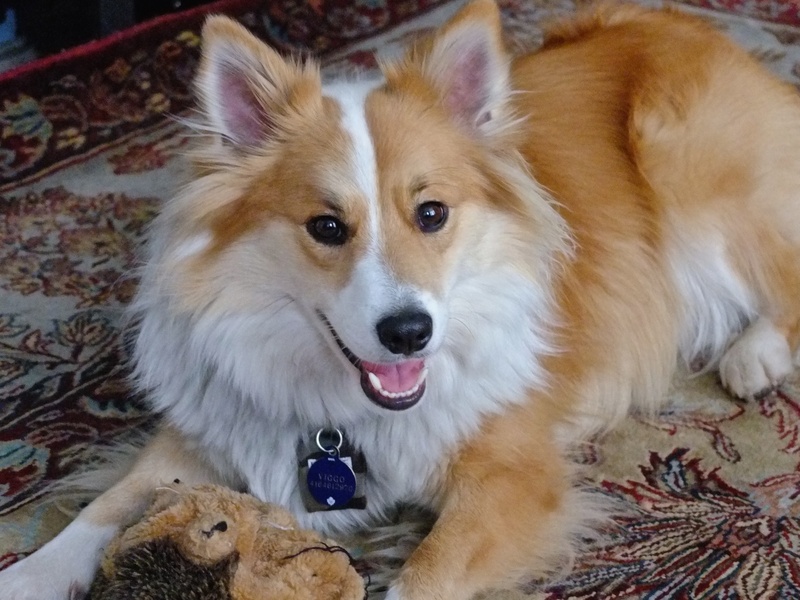 Our dog is named Thorvald, and you should hear the various vets double take at that…we call him Thorvi, or Thorvaldson, since that is what our daughter’s cell phone keeps calling him… Thanks for the peek into this dog’s life!